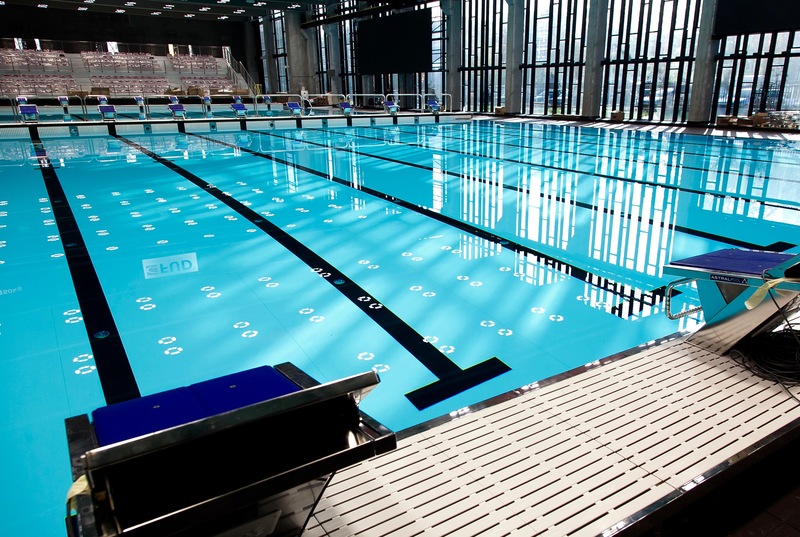 An olympic swimming pool of 25 m by 51.30 m and a depth of 2 meters, with a mobile shallowing platform and ten lanes 2.5 meters wide. 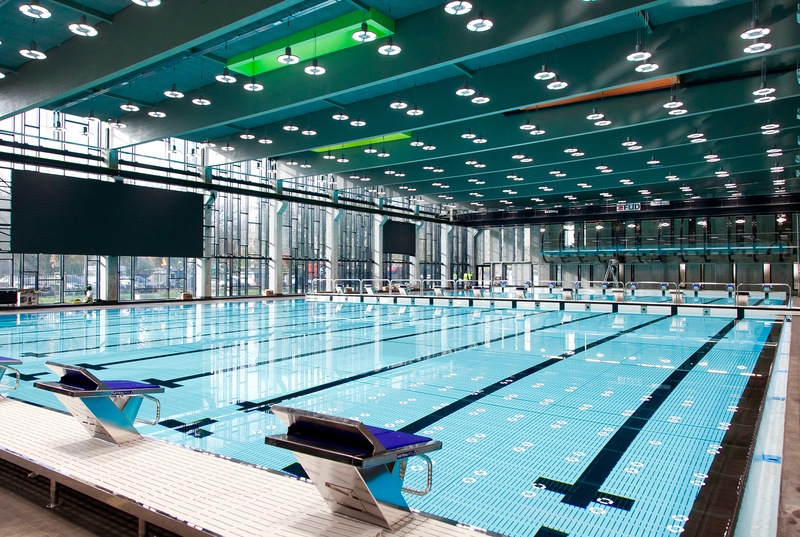 The swimming pool is equipped with a state-of-the-art electronic time measurement system, stands for 670 people, including a mobile stand for 200 people. 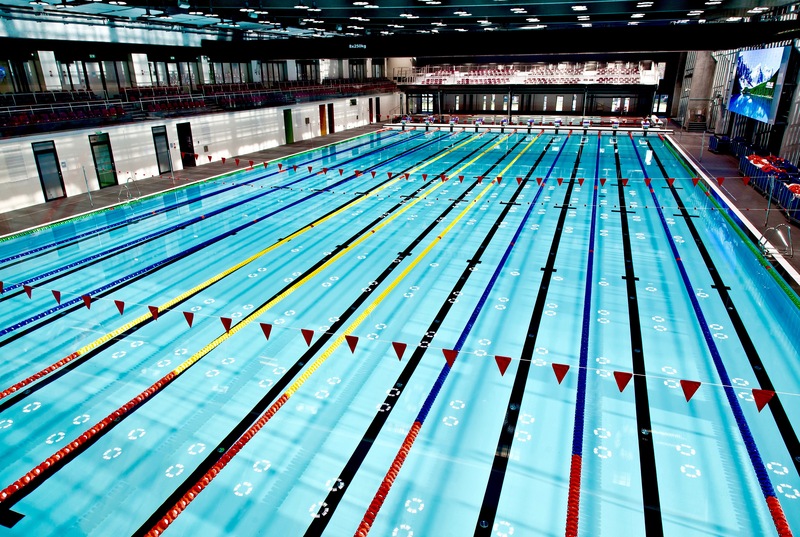 A movable barrier enables the division of the pool into two 25-metre pools or waterpolo fields – 33 and 17 metres. A special platform of 10 m by 25 m and the oblique part of 4.3 m, shallowing the swimming pool to 0.3 m has been installed. The temperature of the water is 26 – 28⁰C. The surface area of the water is 1282m2. The swimming pool is adapted to the needs of the disabled – it has a fully mobile raising platform. Adjustable lighting allows the broadcasting of competitions in HD, and a special glass stand will allow refereeing and commentating. 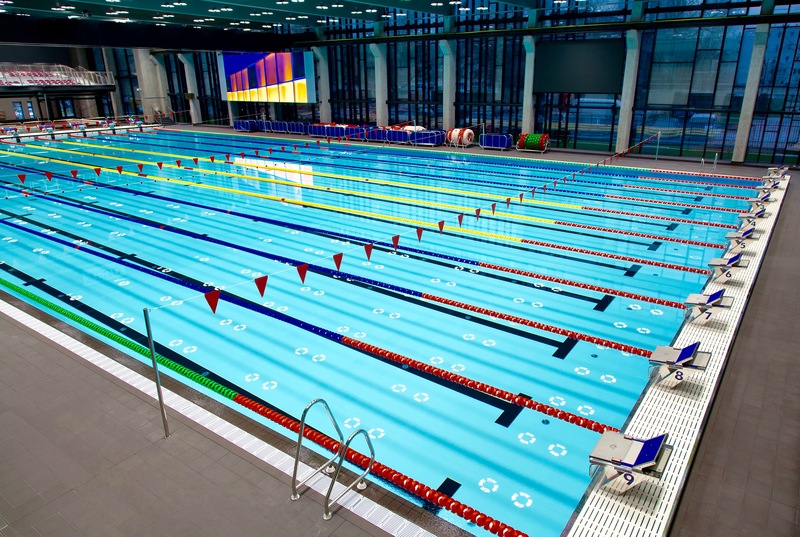 The swimming pool is in accordance with the regulations of FINA, LEN, and the Polish Swimming Federation. 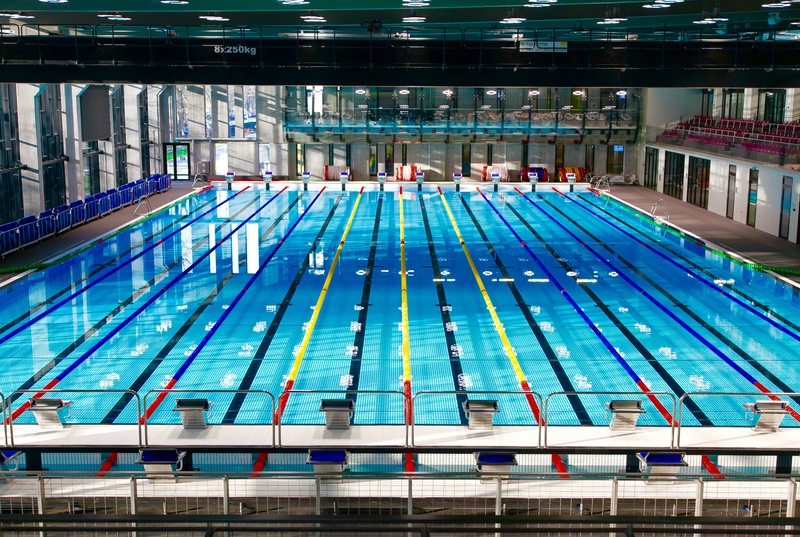 The swimming pool building also includes a training and warm-up swimming pool of 10.5 m by 25 m by 1.0 m up to 1.35 m (width by length by depth), with five lanes. The temperature of the water reaches 29 degrees Celsius. The swimming pool is adapted to recreational activities and swimming training. Above the surface of the water a raising stand for 200 people has been designed. It is important especially during the organisation of sports events.